Twin Cities Theater Bloggers: TCTB Review Roundup - YPC, Mixed Blood, Sandbox and more! TCTB Review Roundup - YPC, Mixed Blood, Sandbox and more! "With Mean, YPC’s Mean uses good original theater to add something useful (and positive) to an important conversation." 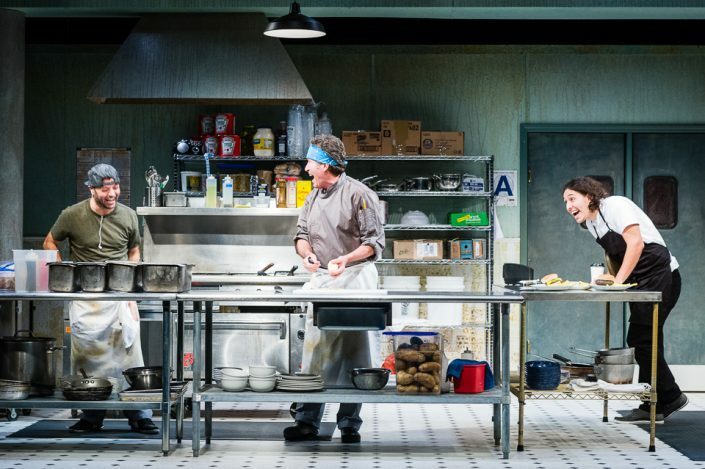 "For those of us outside of that profession, How to Use a Knife is an honest, illuminating portrait of how difficult work in a kitchen is and how deeply politics seeps through every aspect of our lives, even those hidden behind double doors." "Will Snider's new play is a tragicomedy that takes place in a restaurant kitchen with diverse, clearly drawn, realistic characters, brilliantly brought to life by a fantastic cast, with a completely engrossing story that'll leave you wondering just who the bad guy is in this story, and maybe realizing that defining a "bad guy" isn't all that simple." "As we left the theater I said to my friend, half-jokingly, “Leave it to Sandbox Theatre to create a children’s show about poverty and death.” Half-jokingly. And art. It’s also about art, and the artist, and creating, because that’s also frequently tucked in the back of things the Sandbox ensemble creates and performs."